Another new slot has been released by Net Entertainment, Stickers, and anyone who enjoys well-designed slots that aren’t overloaded with bonus features is sure to love it. 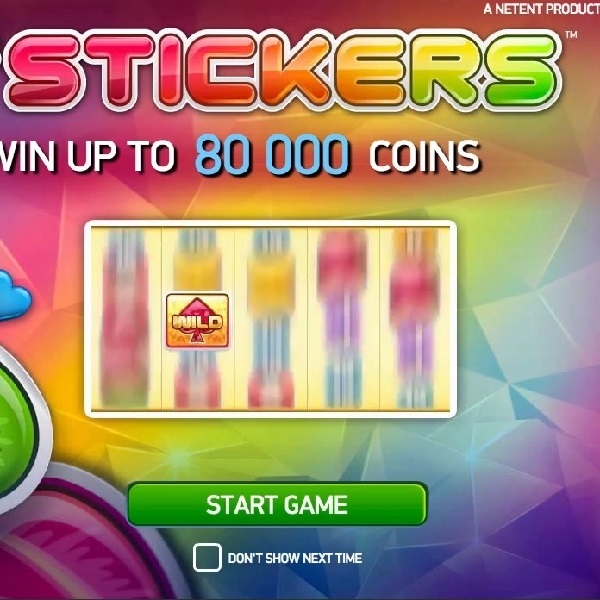 Stickers is a 5 reel, 20 fixed payline slot that is built upon the theme of fruit. As such on the reels players will find a strawberry, an orange, a kiwi fruit and a plum. There is also a red heart wild symbol and the standard lower value symbols. Stickers only has one bonus feature but it can be extremely lucrative. Each time a wild symbol lands on the reels it is frozen in place for a free re-spin. If more wild symbols land during the re-spin then they will also be frozen in place and another re-spin is awarded. This way it is theoretically possible for every position on the reels to become wild and when this happens players hit the jackpot of 80,000 coins!